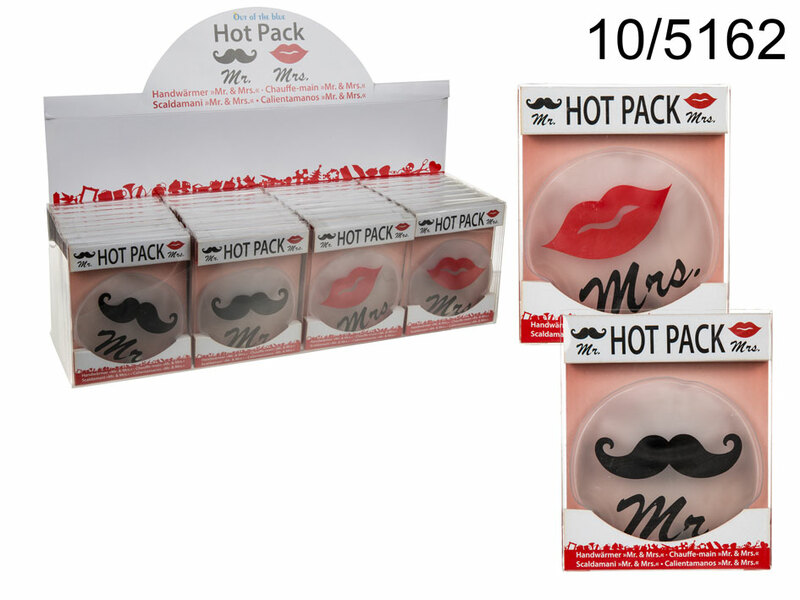 Stylish, round hand warmer with Mr & Mrs themes. Perfect item for snow play and skiing. Lovely winter gift idea. A must-have for every lover of warmth. The initial release of heat is triggered by flexing metal disk inside the warmer. Reusable - in order to make it warm again place it in boiling water for about 8 minutes. Depending on the surrounding conditions, the amount of time it stays warm may vary (maximum amount of time: 60 minutes). Two models available - assorted. When buying 32 items display stand is free of charge. In PVC box. Size: 13 x 10 x 1,5 cm.